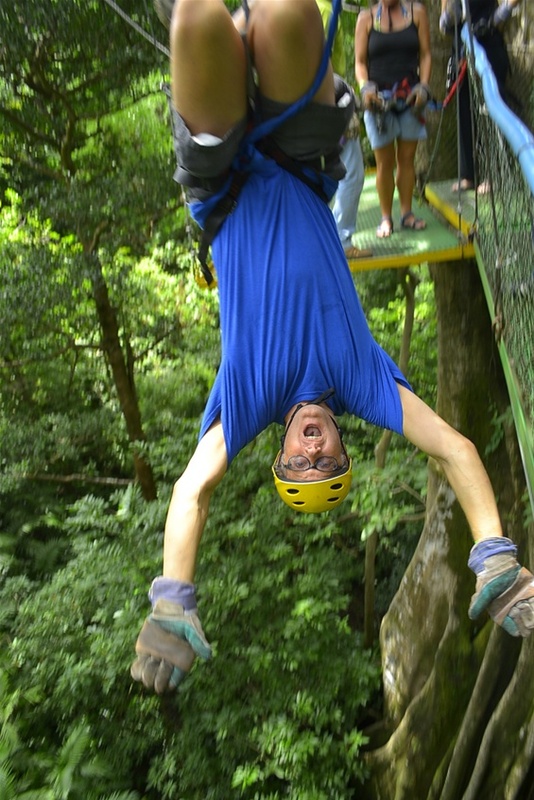 I wanted to spend the whole day on the "Sustainability Tour" but got peer pressured into joining the water slide ride carved into the jungle and white knuckling my way through a massive series of zip lines that left my hands trembling. After a beautiful lunch, we ventured deeper into the forrest to drench ourselves in hot mud then take baths in steaming volcano fed pools while monkeys frolicked overhead. As school field trips go, it was the biz. And nobody had to sign a waiver, not even the crazy ones who flew upside down.